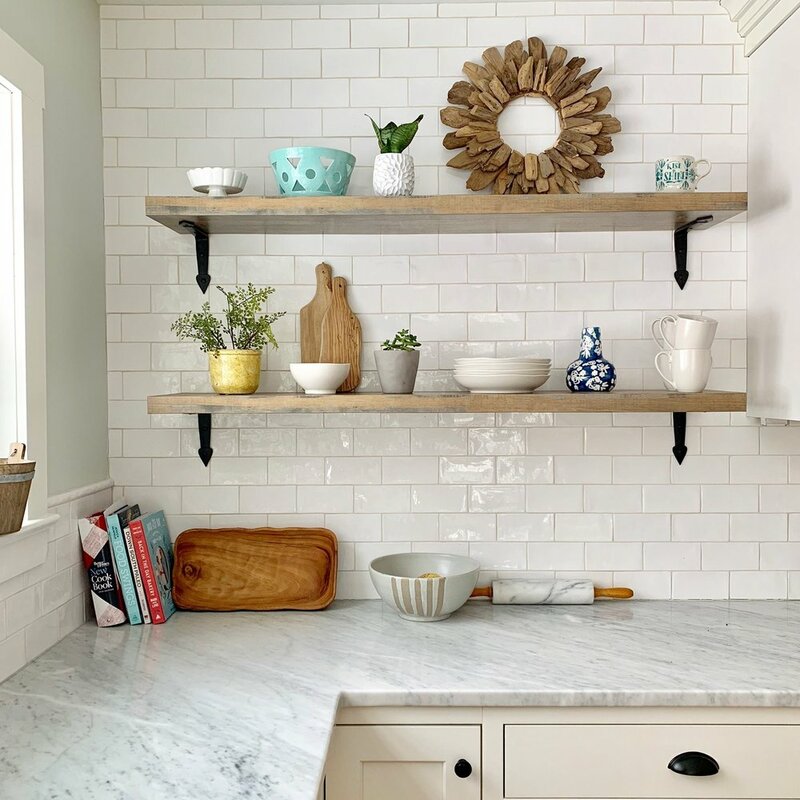 Today I’m sharing a simple shelfie from my kitchen. I have managed to keep 2 of these 3 plants alive for an entire year!! Full disclosure, one of the 3 is faux :) But I wouldn’t put it past me to find a way to kill a faux plant! Christie Adams Design is a Wyckoff NJ based interior design firm available for whole house renovations as well as one-room makeovers. Reach out for more information if you are searching for a Bergen County NJ interior designer. 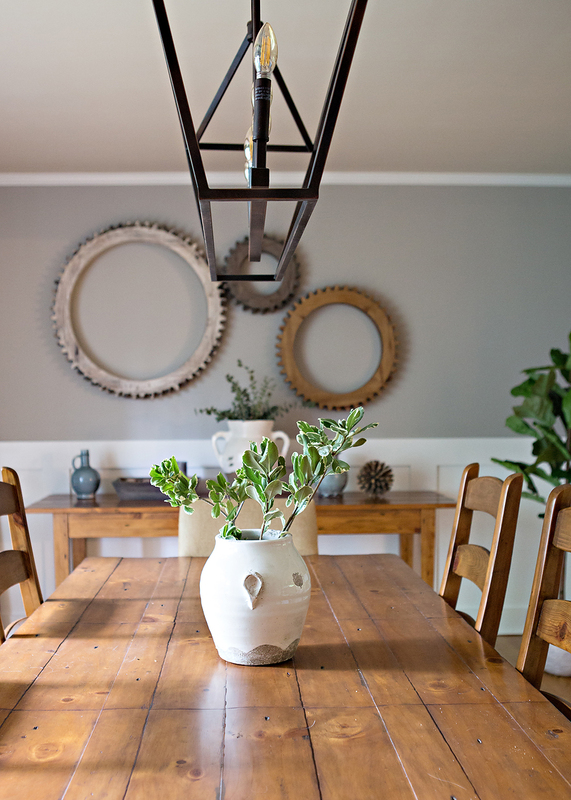 I love finding unique items for wall decor and these wooden gears are definitely one of my absolute all time favorites! They really make a statement on the wall and I love that they are in three coordinating colors and go well with a variety of wall colors and decor. I also love the variety of scale to keep it interesting - it wouldn’t have the same effect if all three of the gears were the same color or same size. What is something that you have on the wall that is unique and gets comments and compliments from your guests? Christie Adams Design is a Bergen County NJ interior designer based in Wyckoff New Jersey. Available for decorating as well as whole house renovations and additions in the northern New Jersey area, Christie also works with builders and developers who are flipping a house in the Ridgewood / Wyckoff / Glen Rock area. If you’d like to learn more about how we can work together to transform your space, be sure to contact me so we can chat. 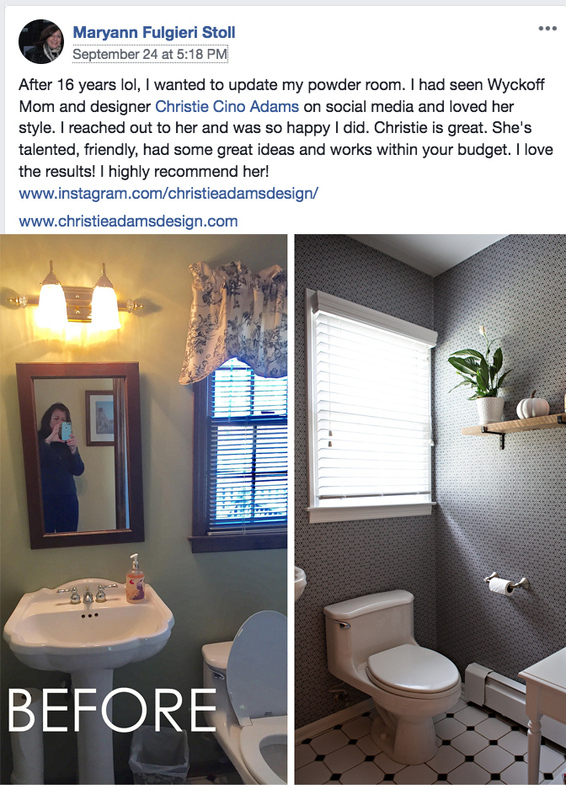 Christie Adams Design is an interior designer and decorator based in Northern NJ (Wyckoff in Bergen County). I am available for small decorating jobs as well as whole house renovations and additions. If you are in the Bergen County, Morris County, Essex County area of Northern NJ looking to transform your home, contact me so that I can learn more about your needs.